So I know, I know, the whino has a beer posting... leave it in the comments. Hey, it's summertime and sometimes you have to mix things up, right? Of course, on a hot summers day I want a beer. The usually question of mine is 'what dark beer do you have on tap?' The answer is always 'Guinness'. And while I actually do enjoy the occasional Guinness, I often find it heavy. Too heavy. My preference has long been a dark ale. Lots of flavour and yet light enough to have two. That's where 'Dark Matter' comes in. Cool graphics and a lovely, lovely dark malty colour. Very mild on hops. 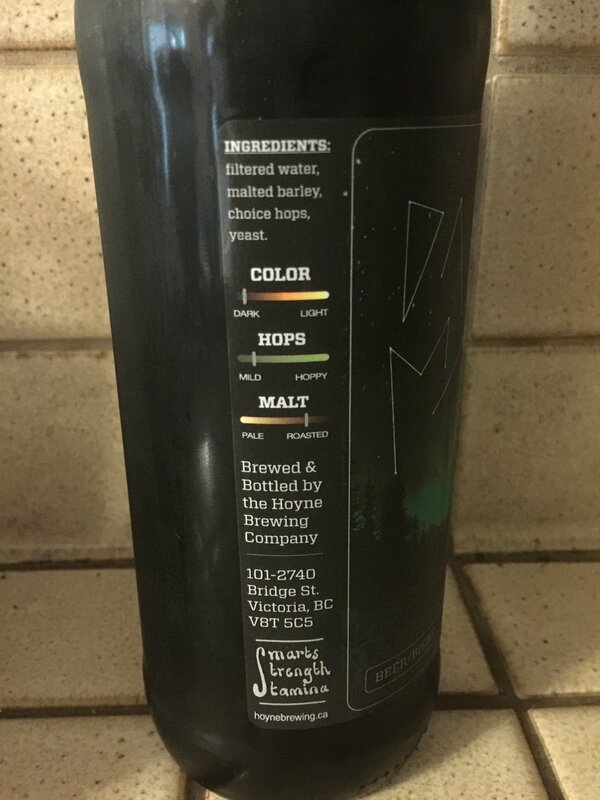 It's available at most BC liquor stores and often at the private liquor stores in 650ml bottles for between $6-$8.